Grill or pan fry the steak. After steak is cooked through chop into bite sized pieces. Warm tortillas over stove top or in oven. Add steak over torillas and top with chopped onions and cilantro. Finally, drizzle salsa verde over the tacos and serve. Add the tomatoes, jalapenos, onions, garlic and cilantro to a pot of water and bring to a boil. After a few minutes strain ingredients and add to a blender or food processor, along with the avocados. Blend all the ingredients together to desired thickness. Add some of the boiling water to thin out the salsa if needed. Add salt to taste and blend. 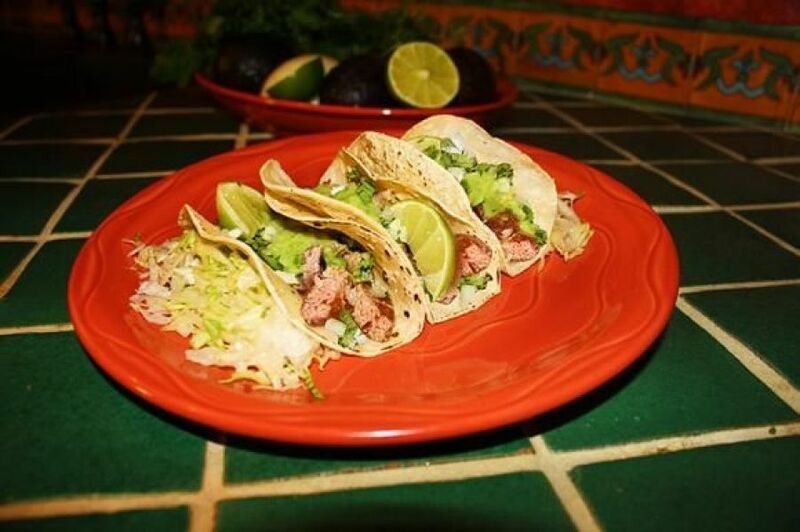 Serve over carne asada tacos or your favorite Mexican dish.